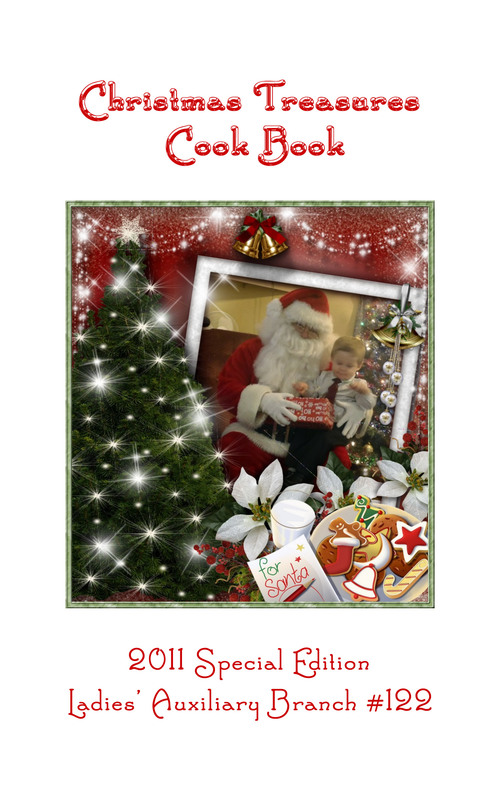 A Special Edition Cook Book featuring a collection of Christmas recipes contributed by Santa, Members of the Ladies' Auxiliary, Our Family & Community Friends. Featuring recipes from our 1st Christmas Cookies & Treats Baking Contest plus photos from our Annual Community Christmas Party. All proceeds go to our "Community Fund" to help us continue to help members, families in their time of need & put on activities for the community as a whole. Like Christmas Party, hosting Funeral Receptions, visiting and assisting ill members of the community and supporting the Legion. For a limited time. The Cook Books are available locally for $10.00 contact Anne at 638-8838. After December 18th you can order them online. Mix all ingredients for dressing except oil. Gradually whisk in oil to emulsify and thicken dressing. Refrigerate 1 hour. Toss remaining ingredients together in large bowl. Toss with dressing. Serve chilled with any meat.